Nicola is impressive counsel. She is prepared, prepared, prepared. She works tirelessly and the results in her cases show that. She gives sound advice and clients respect her. World Intellectual Property Organisation (WIPO) Panel neutral for Art & Heritage Disputes. Nicola is an accredited Family Mediator (ADR group). 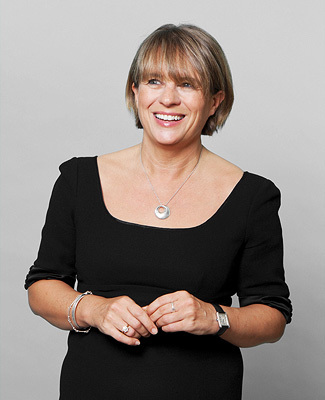 She is also an accredited civil and commercial mediator for the Royal Institute of Chartered Surveyors and is a civil and commercial Panel Member for ADR group. Nicola is a member of PAIAM, (Professional Advisors to the International Art Market). In April 2017, Nicola was accredited as a Faith Disputer Mediator, following successful completion of a 40 hour Faith Dispute Resolution course, with BIMA Mediation. February 2018: Nicola has again been invited to be a judge at the 14th ICC Mediation competition, International Chamber of Commerce, Paris. June 2018: Nicola has been invited as a panel member to speak about succession planning and protection of personal property and assets in Divorce at the Art Business Summit, Adare Manor, Ireland. June 2018: Nicola was invited to be part of the small team of International Lawyers, led by William Charron of Pryor Cashman LLP, New York, who have been developing a centre of excellence for Art and Heritage disputes “Court of Arbitration for Art” (CAfA) in the Hague. Nicola will be presenting on the subject of Mediation at the launch of CAfA at the AiA Conference 7th-9th June, The Hague. February 2018: Nicola was invited to be a judge at the 13th ICC Mediation competition, International Chamber of Commerce, Paris. 3rd November 2017: Nicola was invited to speak as a panel member on the subject of mediation at The Art Business Summit, Dublin. November 2016: 21st Ius Commune Congress, Maastricht University: ‘The role of Mediation in Art & Heritage Disputes’. November 2016: As part of Art Resolve, Nicola presented ‘Mediation in Art and Heritage Disputes’: Art Law conference, Sotheby’s Institute. November 2016: Nicola presented ‘Mediation – Managing the Litigation Risk’: Art Law conference, K & Gates LLP. November 2015: Nicola was invited to deliver a lecture at Hague University of Applied Sciences. September 2015: Nicola was invited by Advocats Conseils d’Entreprises, Paris, to speak at conference “La résolution non judiciaire des litiges en matière d’art”, exploring European approaches to Mediation in Art & Heritage Disputes: Her presentation ‘Le Processus de Médiation – la perspective Anglaise’, was delivered in French. 23rd March 2015: Nicola presented ‘The Role of the Expert in Art-Related Disputes’ at the Maastricht Centre for Arts and Culture, Conservation and Heritage (MACCH) 2015 Conference, Maastricht University.